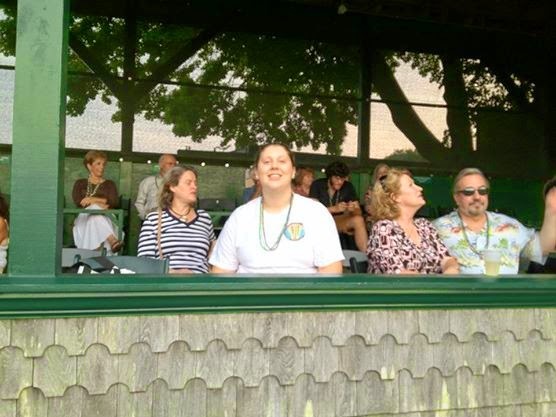 Previously I have mentioned that the first time I went to a jazz festival was in 2011- I begged my dad to buy tickets to the Newport Jazz Festival because Joshua Redman's "James Farm" was going to be playing. We went to the Friday show and saw Wynton Marsalis- to this day I remember his set list (he started with "All of Me"), then we went to the Sunday shows in the park and it was pouring rain. It was raining so hard a saxophonist in the Mingus Bigband quoted "Singing in the Rain" during his solo. Yet, in that rain I couldn't think of a single place I would rather be, or a kind of music that so characterized what life was about because I witnessed a sense of pure happiness. After that first encounter with Newport I have been hooked. It is now a tradition to spend my entire weekend in Newport soaking up the sun and enjoying world class jazz with my dad. It is actually the best weekend of my entire year and I have so many fond memories from the three festivals I have attended- like meeting Maria Schneider to seeing Danilo Perez and Herbie Hancock sharing a piano while performing at Wayne Shorter's 80th birthday celebration. This year is the 60th Anniversary of the Newport Jazz Festival- making it more exciting than ever. For its anniversary, the festival added another day at Fort Adams State Park to encourage up and coming artists and projects. This year there are three days at Fort Adams State Park, and one night at the International Tennis Hall of Fame, making for one jam-packed weekend of jazz. What I enjoy about Newport is the casual, fun nature of the festival. Because of the location and lineup, anyone from a first time jazz listener to a jazz aficionado can come, enjoy the sights, and find an act that excites them because of the sheer diversity of music. 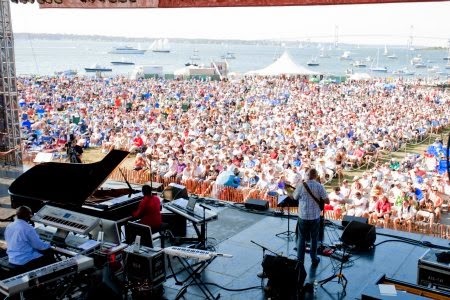 Learn more about the Newport Jazz Festival, and find ticket information on the Newport Jazz Festival website. What is especially exciting for me and kids my age is that the tickets are $20 for students, making it completely affordable to have this amazing experience. More blogs on the festival and my experiences playing there are forthcoming.